To date, no country recognizes Israel’s claim over the occupied Syrian Golan Heights. In 1967, Israel acquired the Syrian Golan Heights by force, and fully annexing the territory in 1981. United Nations (UN) resolutions 242 (1967), 338(1973), 497 (1981), and 2334 (2016), all demand that Israel withdraws from the Palestinian and Arab territories that it annexed during the 1967 war, including the Syrian Golan Heights. U.N. Security Council Resolution 497 (1981), explicitly states, Israel’s acquisition of the occupied Syrian Golan Heights by force is, “inadmissible under international law and the decision to impose its laws in the territory is null and void. 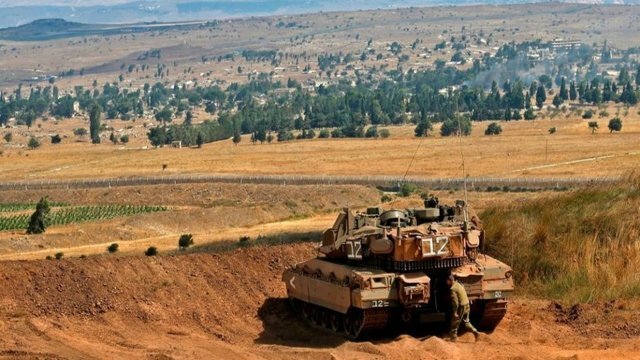 Israel has continuously violated international law by illegally building settlements and exploiting natural resources throughout the occupied Syrian Golan Heights. Notably, the occupied Syrian Golan Heights provides Israel with one-third of its fresh water. In 2015, the Economic Times reported that the Israeli oil company, Afek, is leading programs to illegally drill for oil in the occupied Syrian territory. Additionally, Israel has built 167 illegal business and at least 34 illegal settlements, with approximately 2,000 illegal settlers living in the occupied Syrian Golan Heights. It is negligent of the Trump administration to turn a blind eye to these repeated violations and abandoned the U.S.’s long-held policy that the Syrian Golan Heights is occupied. As the Trump administration continues to implement policies violating fundamental human rights, ADC reiterates the position of this being an outrageous violation of international law. It is the obligation of the U.S. Congress and the Trump Administration, as well as the United Nations and the international community to uphold its own international agreements and fundamental principles of human rights that it claims to promote in its foreign policies.